My good friend, Eugenio “Jun” Ynion, Jr. has encountered rough sailing during his first 10 months as barangay captain of San Antonio, San Pedro City, Laguna. But the turbulence isn’t about to slow him down. Kap Jun is firmly erecting the pillars for a genuine, working model of a “zero-corruption”-based governance. In this age when even the helmsman of the “matuwid na daan” is beset by scandals involving corruption, Barangay San Antonio is demonstrating “zero-corruption” is not a Quixotic-venture. It is happening. Kap Jun began his term of office at noon of Nov. 30, 2013. He hit the ground running, and has never called for time-out ever since. He quickly set his sights on peace and order, health and livelihood. Progress can never be achieved in his barangay unless he tackled the “fundamentals”, what he labelled as the “Three Ks” which stand for “Kapaligaran, Kalusugan at Kaunlaran”. With his compass set, Kap Jun worked tirelessly to make the lives of his constituents better. And in doing that, he always kept the “zero-corruption” advocacy as his center of gravity. A YouTube video highlights the achievements of Kap Jun during his first 10 months. Along the way, he has had to endure black propaganda from an insecure City Mayor who felt threatened by his upsurge in popularity. Barangay San Antonio has the second largest number of voters in San Pedro City. It can easily place Kap Jun within striking distance of the mayorship if he sets his eyes on it. What is significant about Kap Jun’s first leg of the journey is the no-nonsense adherence to the principles for accountability, transparency and honesty. From Day One, he scorned traditional politics. He made it known that he will not tolerate lazy and dishonest individuals in the barangay LGU, whether elected or appoint. “There will be no sacred cows,” he told his people, time and again. Unfortunately, there have been quite a number who didn’t take him seriously; quickly, they were shown the exit door. Kap Jun runs the barangay the way he does his businesses. He rewards performance but shows little tolerance for slackers. Everybody is on their feet. 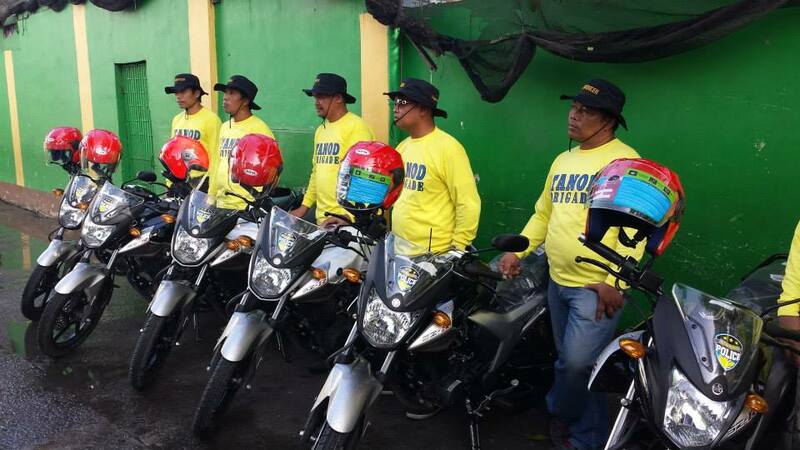 To make sure there are no excuses for not being able to carry out their mission, Kap Jun procured the best possible equipment for the barangay. He wants to be ready for any eventuality, particularly in disaster risk management. Barangay San Antonio is perhaps the only one in the country with an amphibious vehicle to undertake rescue work during floods. Early in his term, Kap Jun watched in frustration when a big fire devoured hundreds of houses in his barangay. The city’s sole firetruck was so decrepit and slow it arrived last. When it reached the scene, it could not even start to help put out the fire. 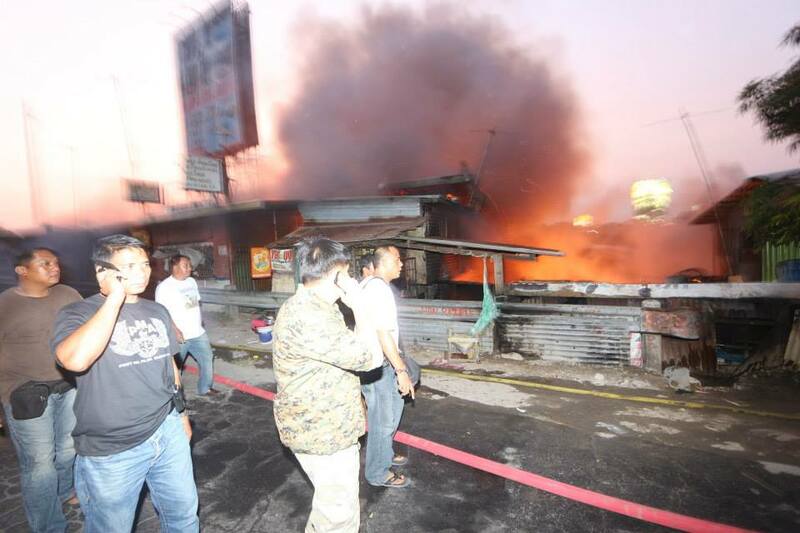 It was largely because of firetrucks from adjoining LGUs that the fire was prevented from causing more destruction. Because of that experience, Kap Jun spent his own money to advance the payment for the barangay’s own firetruck. “Never again will I let that scenario happen,” he said. Aside from a firetruck, Barangay San Antonio has its own ambulance that provides constituents requiring transport to a hospital free services. Education has become the centerpiece program of his administration. It is the only avenue that he can lay down for the poor so that they could liberate themselves from poverty, he said. His barangay has set aside huge amounts of money for scholarships in high school and college. Later in the month, lady volunteers led by his wife, Carissa Gonzales-Ynion, will embark on a “food-for-school” feeding program for indigent pupils. He understands that hungry pupils will find it hard to absorb their lessons. What has triggered a wave of excitement in the barangay is the establishment of a micro-financing program Kap Jun has set up with a bank. For the first time, small entrepreneurs and would-be entrepreneurs can gain access to low-interest loans to fund their businesses. This micro-lending scheme will liberate micro-entrepreneurs from the usurious lenders that constantly keep them choked. Training programs are also being carried out to teach constituents simple skills they can turn into livelihood opportunities. For Kap Jun, progress can never flourish in an environment where peace and order is not stable. This is the reason he invested heavily in improving the peace and order capability of his barangay. To improve mobility, he procured two Nissan pick up patrol cars and 10 motorcycles. Swift communications is ensured by 50 radio handsets for the barangay tanods and police in his jurisdiction. In less than two minutes, any call for help will be bring barangay tanods to the scene, he said. Like any barangay, San Antonio has its share of the illegal drugs problem. But Kap Jun didn’t resign to the problem. He took the offensive tack. He offered cash incentives to the police and tanods for the arrest and capture of drug dealers in his barangay. To make sure these drug villains stay in jail long, he offered additional rewards for law enforcers who catch them with non-bailable offenses. So far, his program has netted 18 drug pushers, definitely a record in such a short time. The environment is also top priority for Kap Jun. Among the first things he did upon assuming office was clean the streets. He adopted a strict rule on uncollected garbage. To promote responsible solid waste practices, he put up huge garbage bins in strategic locations where people can dump their “basura”. He has made tree planting a regular activity in the barangay. His goal is plant 20,000 trees to make San Antonio a green community. Kap Jun showed that when he pushed for environmental protection, everybody in the barangay will have to take it seriously. Early this year, a tire rubber recycling company continue to spew dirty and putrid smoke into the air in violation of environmental laws. Without delay, Kap Jun went knocking on the gates of the company with a simple message: clean up or shut down. His sterling performance is not going unnoticed. 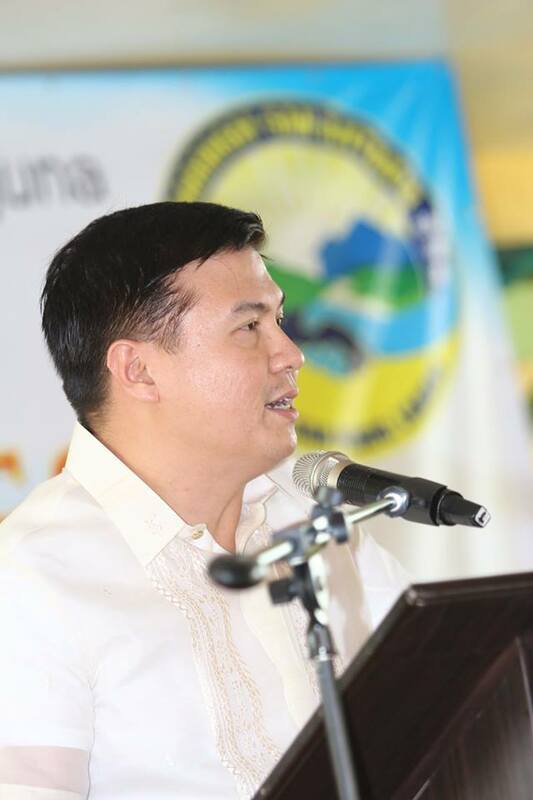 One incumbent city councilor of San Pedro City remarked that Kap Jun’s brand of leadership is not only for his barangay, but for the entire city. 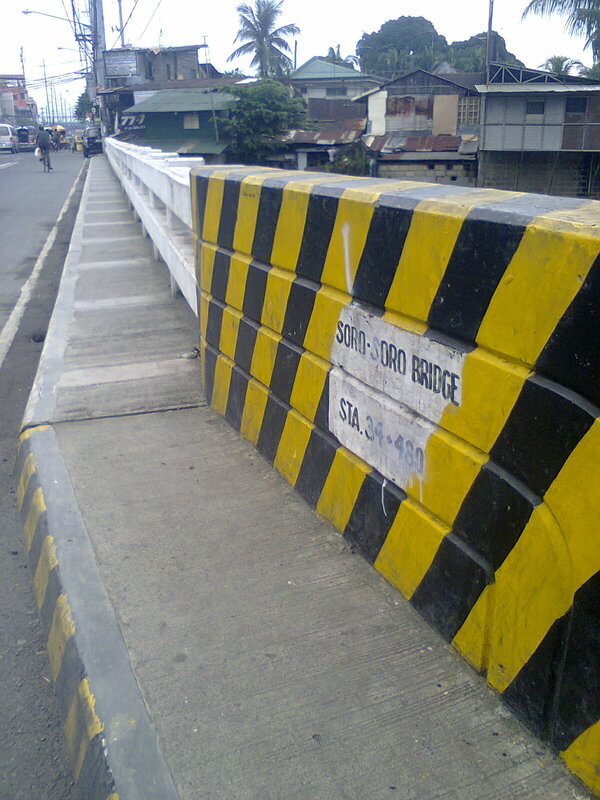 No wonder Mayor Lourdes Cataquiz is perturbed. For an administration rocked by corruption scandals and poor services, it’s not hard for Kap Jun to gain the admiration and support of many people who want him to bring his leadership to a higher plane. Indeed, Kap Jun has proven that the way to good governance is accountability and transparency. It is an effective approach to building confidence in the community. Now more and more of his constituents are excited about more and improved services. Many are also enthusiastic about sharing their good fortune from Kap Jun’s exemplary leadership with the rest of San Pedro City. To my great, and pleasant, surprise, none of the cases died. They did lay there quite long, but they refused to die. Four months ago, I learned from a senior graft investigator of the Ombudsman that all six complaints I had filed were being pursued. All were found to have factual and legal basis. They just needed to be reinforced with evidence. I guess fighting corruption has become a vocation for me. I am committed to pursue a lifelong mission fighting corruption. This is the reason I’ve been relentless in filing cases against City Mayor Jed Patrick E. Mabilog. It’s not for any other reason than that I have vowed to fight corruption. It’s not about politics. It’s about putting a stop to greed and thievery in government. A good investigative journalist can expose dozens of cases involving graft and corruption these days and still be doing no good. Digging and exposing instances of corruption is good; but it has to lead to prosecutions and convictions. This is the credo I’m now following as I pursue the cases of corruption I’ve filed before the Ombudsman. It’s not that I hate Mabilog personally. Really, it’s nothing personal. It’s my job as it has evolved. I learned from experience that corrupt officials grow bolder and bolder with each instance of graft. They gain more courage to test the limits of their ability to fleece public funds from the treasury. I feel encouraged about how the Syjuco cases have turned out. Six cases are humming in the beehive of the Ombudsman as investigators track down the leads I’ve laid down and gather more evidence. I am determined to pursue the Mabilog cases with the same intensity, or even more. The experience I’ve had with Syjuco has taught me valuable lessons. It’s a good thing I worked in the capitol and became a member of the Bids and Awards Committee. Now I have an excellent understanding of the mechanisms for government procurement. It became easier for me to spot the irregularities. This can be a thankless job. A lonely one, too. But I feel I owe it to the people to do everything to safeguard their welfare. The poverty in the country has worsened because of corruption. The book, “Why Nations Fail: The Origins of Power, Prosperity and Poverty”, established the connection between poverty and corruption. President Aquino is right: we have to eradicate corruption if we want to lift the poor from the bowels of poverty. In my own little way, I’ll help him achieve that goal. I don’t need him to recognize me. At this time, all I’m asking from him is that he doesn’t protect the corrupt the way the previous administration did.